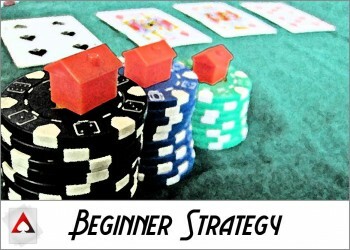 Are you completely new to the game and want to learn the basics on how to play various forms of poker? Or maybe you already know how to play but want to learn how to play better? But then again, perhaps you’re a shark and want to take your game to the next level? Regardless of your current skill level, we can help! 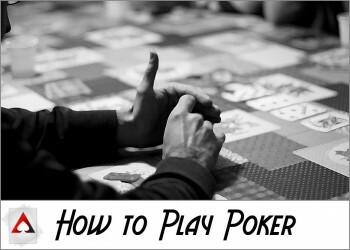 Start here if you’ve never played poker or want to touch up on the basic rules. In this section we clearly explain how to play various forms of poker, including Texas Hold’em, Omaha and more. We also lay out the basics and what you need to know if you’re going to play at a casino for the first time so you can be better prepared. Also, learn how to setup and run your own home game, and more! Start here if you know how to play the game but want to learn how to play the game better. These articles will take your skill level from beginner to intermediate and allow you to crush in most low stake cash games or tournaments. Start here if you’re already an intermediate player or above and want the gain and edge over the other professionals. Become that “tough player” at the table that gives everyone else grief. Become a part of the poker elite! We want to make poker an easy to understand game for all to play. It’s one of my favorite pastimes and after 10 years playing, I still get a rush when I sit down at a poker table. My heart rate still raises when I make a big bluff. And my pride won’t let me forget the hero calls I’ve made. Poker is a very complex game, yet is easy enough to learn in an hour or so. Within that hour you won’t be a good player, but with some study and practice, you can become a winning player faster than you may think. And that is just a simple hand. It’s possible you may face many different scenarios, each with their own variables to consider! But other casino games have decisions involved, what makes poker different? In poker, the house (casino) doesn’t care who wins or loses. Poker is not played against the dealer, it’s played against other players. This means that the players that make the better decisions, in the long run, will win money from the players who make worse decisions. It’s really that simple. Because the casino doesn’t rely on beating the players to make money (as it does with other skill games like video poker and blackjack) they take what is called a rake. A rake is a portion of the pot set aside each hand which the house collects. This may also be paid in fees if you’re playing in a tournament. For example, if you’re playing in a cash game and win a $100 pot, the casino will take a percentage of that. The rake varies by casino and game played but is usually 5% and capped somewhere around $5. So in our example, you would collect $95 of the $100 pot and the house would take $5. Because the casino makes money based on rake, all they care about is dealing as many hands as they can, as fast as they can. They don’t have to beat the players. They just have to setup the game, and have no investment on who wins or loses. As I mentioned earlier, if you make better decisions than your opponents, you will win money. But did you notice I left out one important part? In the long run. Poker is a long term game. Simply put, anything can happen in any single hand. Often times it comes down to basic probability and you may determine you are 80% likely to win a $500 pot. If you run this scenario once, you may lose. There is a 20% chance you do. However, if you run this scenario over the long term, say 1,000 times, you should lose only 1 in 5 times. The larger the sample size, the closer it comes to 80%. Luck is what brings the bad players back for more. In most hands, especially when all-in preflop, if you get your money in good, there is still a chance you will lose. Luck adds excitement and may reward players for making bad plays… in the short term. Thus, the phrase “bad beat” was born. A bad beat is when you have a high percentage of winning a hand when the majority of the money went in, but ended up losing. All poker players have bad beat stories. But please save our ears – no one likes hearing a bad beat story! Luck adds that excitement to the inexperienced player. Often times you may hear, “I know you’re ahead, but I could get lucky!” Because a player can make a bad play and still be rewarded, they come back again and again hoping today is their lucky day. 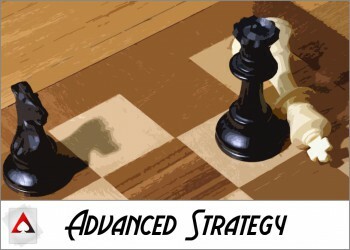 The less a player relies on luck to win, and instead on a solid strategy, the more they will win. But regardless of a player’s skill, they can still lose any hand, any tournament, or any session and can write it off to bad luck. It happens. At the lower stakes you will see a few good players and a lot of bad players. As the stakes increase, the fewer bad players you will come across, making it harder to win. The highest stakes are home only to the best professionals, and the richest hobbyists. Poker keeps score with money. This makes poker a form of gambling, but because strategy is a large part of it, you can be an intelligent gambler. You can have consistently make better decisions over your competition. Study, learn, and practice. Poker is like anything in life, the more time you put in, the more you will get out of it. The best players put in their time, paid their beginner tax, and came out on top. Even Phil Ivey has gone broke. Considered the world’s best poker player by many, there was a time Ivey played his first hand. If you feel like diving in, you can view all of our top online poker rooms. All of our poker rooms are ranked objectively and with the help of our readers. You can play for free at any site, and once you’re ready, make a deposit, grab a bonus, and start winning money. Most sites allow deposits as small as $10 to get started.